Lance Armstrong name will no longer feature in the history of Tour De France winners list, as the cyclist has been stripped of the seven titles, which he had won in the past for his involvement in one of the most sophisticated scandals that hit the sport. The report submitted by the USADA has made it clear that the cyclist was involved in the process of doping during his career. There were a total of 26 testimonies, out of which 11 were his team mates, whose presence on the document spills the bean for many of us, who thought, he was clean. But, even after this episode, Lance does not agree with the report. But, the whole world knows the truth, though, it may have come very late. With this, the reputation of the cyclist has seen an ultimate dip. There are very few fans that are going to stand alongside the cyclist, when the entire cycling fraternity now believes that Armstrong took an illegal route to win his titles. But, it is not fair for us to judge that the cyclist used performance enhancing drugs in all the races that he took part in Tour De France, as the stripping of the seven titles must suggest. Now, the million dollar question after the stripping of his titles and his ban is whether he will be asked to return his prize winnings from the sport. Meetings of the highest order are going to take place to discuss about the same. 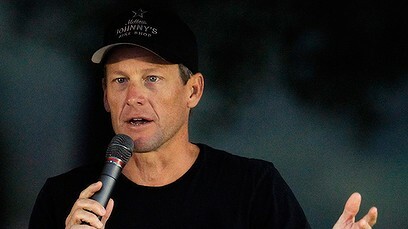 But, if Lance is asked to payback the prize winnings, it is not going to be an easy task for Armstrong.